We always love it when others take an indepth look at our software. Many times we learn different ways that users are approaching the software. We always learn what features people like and what they might like us to improve. 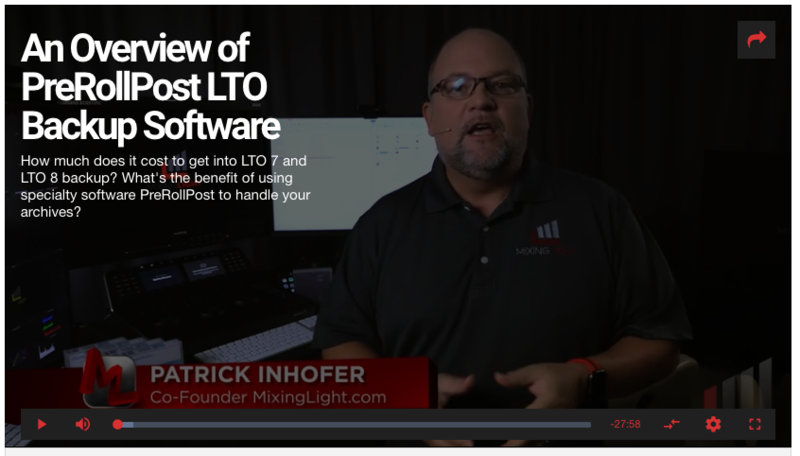 Recently MixingLight did an overview of our LTFS software for Windows, PreRoll Post complete with a video tutorial! We get all warm and cozy when we hear things like “fantastic piece of software” and that using PreRoll Post “renewed his enthusiasm for LTO.” Let’s face it, we make software. We know that it’s not the most interesting or creative part of the job but it is crucial. Our goal always has and always will be to create powerful software that’s easy to use and affordable. When we hear from users that we are not only hitting those goals but renewing people’s enthusiasm… well, there is no better feeling than that. One of the key points that Patrick Inhofer made in his video was about checksums. His point was one that we make regularly. 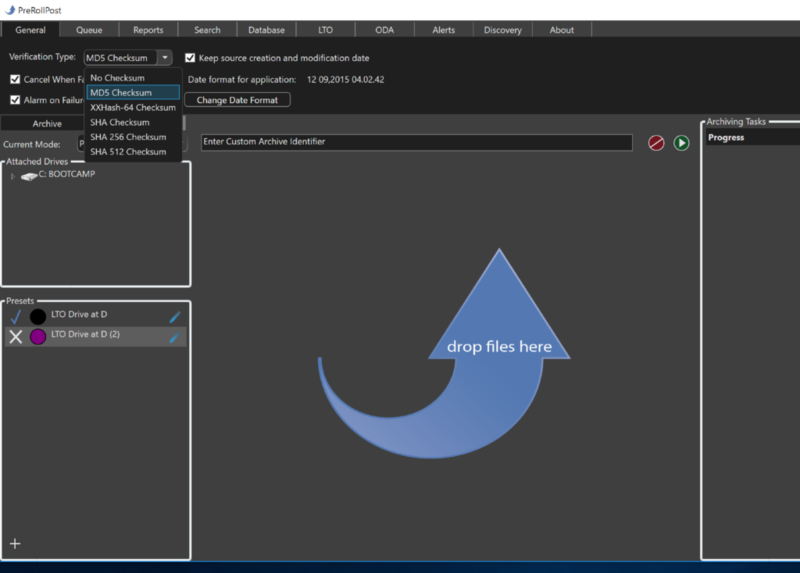 Why do an archive if you don’t run checksums? The checksums ensure that everything is being copied correctly. If you don’t use them, then try to go back years later to access it you are not guaranteed to have what you need! Read more below and watch the tutorial here.